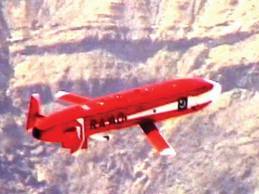 Pakistan is possibly supplementing or replacing its current uranium-based nuclear weapons arsenal with plutonium-based,weapons that are more destructive and easily deliverable.Pakistan is rapidly adding to its nuclear arsenal.Outside Pakistan, observers wondered if the nuclear arsenal was secure from potential terrorist theft; inside Pakistan, observers wondered whether the arsenal was safe from a possible US or Indian incursion. fabricate more nuclear weapons fuel, wrote nuclear experts. Pak nuclear stockpile to touch 200 in a decadeHans M Kristensen and Robert S Norris in the issue of Bulletin of Atomic Scientists.”It is also developing new delivery systems. Enhancements to Pakistan’s nuclear forces include a new nuclear capable medium-range ballistic missile, the development of two new nuclear-capable short-rangeballistic missiles, and the development of two new nuclear-capable cruise missiles,” they wrote. India got heavy water and reprocessing plants in 1960s. And by 1965, intelligence estimates concluded India could go nuclear in a few years, which it did by exploding its first test in 1974. . The retired brigadier, who has been closely associated with Pakistan’ Strategic Plans Division, recalled that the Indian nuclear explosions in May 1998 at Pokhran forced Pakistan to test its own devices, leading to nuclearization of South Asia.Zulfikar Ali Bhutto was determined to deny rival India a nuclear monopoly. In 1965, the future prime minister said: “If India builds the bomb, we will eat grass or leaves, even go hungry.” In 1972 he gave the go-ahead to a nuclear programme. Today, Pakistan is estimated to have 80 to 100 weapons. Pakistan to limit its ability to maintain a credible nuclear deterrence. These pressures are coming from the Conference on Disarmament, or CD as it is known, that opens today in Geneva. The United States is working on two tracks. One is to induct India into the Nuclear Suppliers Group and end the last barrier that stops India from procuring nuclear technology and material in the open market. And two, use international treaties to force Pakistan to freeze Pakistani nukes at their current size and potential. While US officials use public diplomacy to send messages through Radio Pakistan and other arms of the pro-US government in Islamabad claiming Washington has no interest in targeting the Pakistani nuclear program, US actions speak louder about the actual US policy toward Pakistan’s strategic capabilities. The Pakistani government is maintaining a strange silence on the new pressures on its nuclear capabilities. Other departments of the government that shape Pakistan’s nuclear policy, like the Nuclear Command Authority, are also silent apparently in deference to the incumbent government. To break this silence, a Pakistani nuclear expert Dr. Shireen Mazari took the initiative to sensitize the Pakistani media about the new developments in Geneva. She organized a one-day closed-door briefing for senior Pakistani journalists. Over eight hours, participants were briefed about the new pressures on Pakistani diplomacy on the country’s nuclear program. The workshop covered Pakistan’s position on a new treaty, called FMCT, that would stop Islamabad from developing material needed to build nuclear weapons, a treaty that Islamabad is resisting for the time being. Participants also went through the evidence-based record of India in nuclear proliferation which belies Washington’s claims that India has a clean proliferation record.But Dr. Mazari is not alone. Ambassador Zamir Akram has told CD that Pakistan does not accept the US-led tilt in favor of India on nuclear technology. Pakistan’s military has angrily insisted that its nuclear weapons arsenal is safely protected and denounced claims that it is secretly negotiating with the United States to allow teams of American specialists to provide added security in the event of a crisis. The Washington Post published revelations Wednesday, attributed to me, that top-level North Korean officials bribed Pakistani military officials with over $3 million in exchange for the nuclear technology. Just $3 million for nuclear technology? ?